LOS ANGELES -- "Price is Right" history was made on Monday's episode when a trio of contestants spun $1 on the game show's colorful wheel. The three contestants each landed on different combinations of $1 in a pair of spins during one of the show's showcase showdowns. The game show famously awards contestants who earn $1 on the wheel without going over a $1,000 price and a chance to spin again. 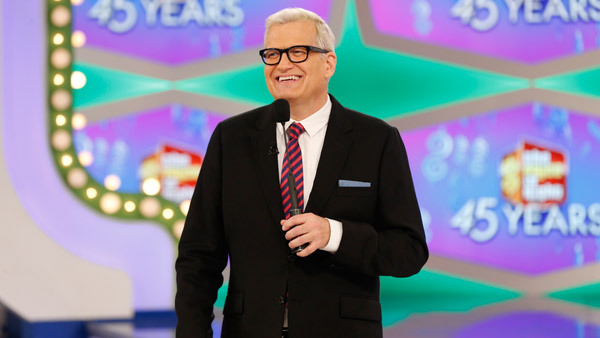 "The Price is Right" host Drew Carey pumped his fist in the air after the contestants achieved the first three-way $1 tie in the show's history . The three contestants celebrated by jumping up and down while embracing in a group hug. The long-running CBS game show is currently airing its 45th season.